Change the end of any famous story, true or fiction. Perhaps Darth Vader isn’t Luke’s father. Or maybe Nixon was never elected president. Pick any story, true or fiction, from the real world or a book or movie, and change the last few pages or moments of the story. Think about an ending that has always bothered you or you thought could have been better. Now is your chance to fix it. 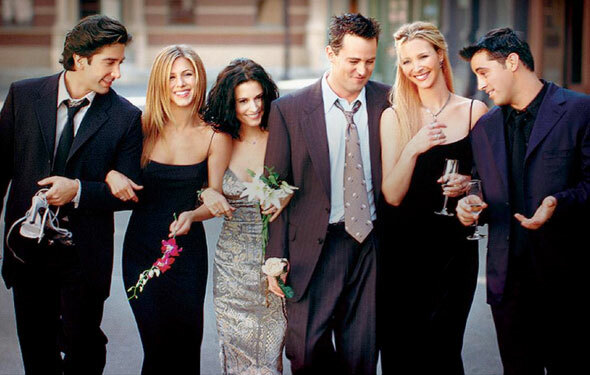 FRIENDS- The TV show I’m madly in love with, But the ending was so sad that It still bothers me. If you think about it, why would you end a TV show like that? Its just sad. I’ve watched all the other episodes- four or five times, but the last one- just once. This entry was posted in blogging, Daily, post a day 2011 and tagged friends, rewrite the ending, tv show. Bookmark the permalink. You hav to watch this show. I was so into this show that i didnt know what to do after it ended! All the seasons are repeatedly shown even now! I couldn’t agree more with you!!!!!!!!!!! I hated HATED HATED the ending. First of all they were ENDING…and then they ended like THAT.